or WHY is it so expensive? ...while commentators and parents spent a great deal of time bemoaning the situation, they failed to mention that while the majority of schools and universities were raising tuition (while implementing classroom furloughs and early retirement packages for professors), some weren't cutting the fat where it counted***: in administrative salaries, unnecessary construction projects, and pricey bureaucratic systems that don't elevate the level of learning and resources available even when tuition costs outpace that of the average American salary. The same question holds true for those within the top-tier of said schools. When The Wall Street Journal published an article last November listing the highest paid college presidents in the country, eyebrows were raised when it became clear the majority were making well over six figures a year (some, like Yale's Richard Levin were almost at the million dollar mark). Adding salt to the wound was the fact that many of these same colleges and universities raised their tuition in 2009 to cover their operational costs. Isn't it time we shifted our focus away from HOW to pay for college and instead started to probe WHY it costs so much to begin with? Should we wait until our educational system faces the same financial collapse and ruin as Wall Street before we start asking serious questions and demand a system of checks and balances be put into place? After all, it's not just the actual cost of college we should be worried about -- it's the hidden cost nobody wants to talk about that may end up hurting future generations of students to come. This article pretty much says it all about the Jimmy Williams situation. Few problems get better by failing to address them early. Here’s a case in point where sometimes the “right” decision creates unintended consequences if the process is not handled well. The University of Minnesota was just handed a legal defeat when a jury awarded 1.25 million to would-be assistant mens basketball coach Jimmy Williams. Williams claimed that Smith offered him an assistant coach position, after being named to the head coach job at Minnesota in 2007. Following the verbal receipt of the offer, Williams accepted the offer, immediately quit his job at Oklahoma State ... put his house on the market and prepared to move to Minnesota to join the Gophers staff. Shortly after Williams’ acceptance, Tubby Smith met with Athletic Director Joel Maturi to inform him of his choice of Williams. Maturi performed a background check and it showed that Williams had been hit with NCAA violations in the past – at Minnesota — when he was an assistant coach under Bill Musselman many years ago. So Maturi told Smith that Williams was unacceptable for the role, given his track record. So now Smith had a dilemma. Did he inform his new boss that he just extended an offer that Williams accepted and that Williams has resigned his post at Oklahoma State to join Minnesota? Did he acknowledge there’s a problem he’s created for Williams and the University by extending an offer that apparently he didn’t have the authority to extend? By all accounts, the answers were “No." So what did Smith do? He left Williams hanging. Radio silence. Didn’t initiate communication with Williams. Didn’t return Williams’ calls. Precious time ticks off the clock. Smith was incommunicado. And Williams becomes a man on an island. On May 26, the University of Minnesota, following the jury’s verdict, issued a press release that the “university respectfully disagrees” with the findings of the courts. They state that refusing Jimmy Williams’ employment as assistant coach was the right call. Yes, it was the right call, but how the University handled Williams was shoddy and disrespectful, and evidently illegal. ... the low road they took to handling Williams put them in the predicament they find themselves in today. When a problem with Williams’s background was surfaced, shouldn’t there have been immediate communication to him, letting him know there was a problem, so that he could potentially recover his position with OSU? And if that wasn’t possible, shouldn’t Minnesota have taken the high road and at least internally acknowledged the facts? The fact that Smith had offered a position which was accepted by Williams? And now the offer must be rescinded given the findings of the investigation. It would have been much cheaper and efficient to have dealt with the situation in 2007, possibly even entering into a small settlement with Williams, rather than have a 63 year old man who has been unemployed without health insurance since that time take the witness stand to a sympathetic jury in 2010. I think the University of Minnesota got what they deserved. They botched the process, took the low road and tried to sweep the affair under the carpet. They tried legalese and they weasel-worded their position. They acted with low integrity and showed no accountability. Williams deserved to be dealt with respectfully, candidly, and in a timely fashion. Even if your position is correct, you still have to attend to the details and take the high road. Leaders have to have the tough discussions, make tough decisions and sometimes have difficult conversations with others who are impacted by their decisions. Sadly, the behavior exhibited here is not restricted to the Department of Athletics. The Morrill Hall Gang and the Academic Health Center have also taken the low road on numerous occasions, as has been documented frequently on this blog. A recent U investigation leaves the door opened to one from the NCAA. The University of Minnesota’s investigation of the suspicious real estate transactions within the University’s wrestling program revealed, to use a coach’s idiom, a lack of character on behalf of the University. The final product of the investigation was a poorly written six-page report that understandably invoked the NCAA statute of limitations on the few cases it analyzed. It ultimately reflected the investigation itself: a lazy affair that left more questions than answers. It was lazy because the University found it sufficient to look into just the findings of a December Minnesota Daily article that prompted the University’s investigation and nothing more. The Daily investigation — the result of several years’ worth of reporting from various editorial employees — focused on a handful of questionable cases. We are wondering whether there were more. The report left more questions than answers because it was primarily based on interviews with members of the wrestling program without providing the specific content of those interviews. We’d be hard-pressed to call into question the honesty of the interviewees’ responses, since we do not know what they were. The report does take measures to mention that the interviewees — who included former and all current wrestlers along with wrestling staff members — cooperated with the investigation. The introduction claims all interviewees “were cooperative and appeared forthright.” And the conclusion states, “At no time did anyone appear evasive or untruthful.” We want to know what questions the University asked and what responses the interviewees gave. Yet we do not have to know the content of the University’s interview with J Robinson — the central figure of the investigation — to doubt its veracity. The case of All-American wrestler Sonny Yohn provides some clues. Yohn, who was ranked the second best high school wrestler in the nation by at least one publication, told the Daily that Robinson discussed real estate with him during the recruiting process — although Yohn was apparently unaware of the context of the conversation. Yohn joined the Gophers in 2007, and in August 2009, with his name still on the roster, the second-year student purchased a property in the Lauderdale neighborhood, with the help of former wrestling coach Marty Morgan. 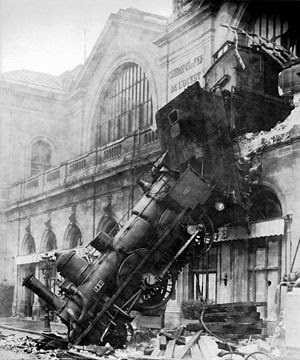 That itself was a questionable move because Morgan might qualify as a booster. The report fails to appropriately address Yohn’s case. The University maintained that Robinson’s property transaction assistance to staff members who were former student-athletes did not constitute a recruiting inducement. What about a transaction with current student-athletes? That would certainly have a bearing on recruits. What’s distressing about the investigation is that the University found it sufficient to leave questions like that unanswered. And precisely because the University did not choose diligence and transparency in its investigation, the NCAA should consider starting its own. Dan Mrozowski, the affable English lecturer, is not replaceable, though he is leaving the University. On May 6 in American Literature II, our professor, Dan Mrozowski, told us it was the last time he’d be teaching a course at the University of Minnesota. This is one of the large lecture classes, with more than 120 students, and sounds of dismay swept the room with the news. In keeping with his teaching ethic, however, he did not leave us with a low note. He finished that last lecture on Kurt Vonnegut’s, “Slaughterhouse Five” emphasizing Vonnegut’s point that literature — and art — are ways to resist the forces that keep on destroying, the forces Vonnegut represents in the novel with the repeated phrase of resignation: “So it goes.” And then he told us all a personal story that we asked him to tell. Students clapped and laughed. He left us as he always has, inspired and informed. 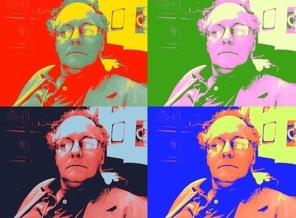 Dan Mrozowski is one of the most beloved professors in the English Department. In the short time he’s been at the University, he’s become a legend for his passionate, thoroughly informative and amazing lectures. We know he accepted another job teaching in another state, but of course, as students, we are infantilized by the University and kept out of any say-so or even transparency in the hiring processes relating to our professors. It is, it seems, none of our business. We are merely here to pay tuition and accept whatever education the University decides to dole out to us. They have never asked us which professors they should make permanent. No doubt, if they cared to, they would find that the vast majority of students in the English Department, as well as some other departments, would give a resounding, “Yes!” to hiring Mrozowski. At this point, it is too late, but if the administrators were truly committed to democratic education and the well-being of their students, they would not have let this happen. And they would do everything in their power to stop it now. I have no doubt that the administration is continuing the same policies for students in other departments — letting go of the professors those we need most. They seem to think our professors are all replaceable. The jury awarded $1.25 million to the former coach; the U of M said it will fight the "unjustified verdict. Subject: A reason to smile. This week, when the president first told me he’d chosen Elena Kagan to serve on the Supreme Court, I couldn’t help but smile. I met her 20 years ago, when she took a break from teaching school and chasing guys to join my staff in the Senate, and even back then, it was easy to picture her in a black robe. She went to Harvard, not Smith. It’s Elena, not Ellen. She barely drives, much less a Subaru. She’s never been spotted at Home Depot or the Meow Mix bar. And she doesn’t have Ani DiFranco on her iPod. She never watches the Rachel Maddow show. By 9 p.m., Elena’s usually snuggled up in bed in a lacy peach peignoir, scrawling “Mrs. George Clooney” in the margins of Blackstone’s Commentaries. Don’t bother trying to get her out for dinner on a Monday night when “Dancing With the Stars” is on. Her heart belongs to Maksim Chmerkovskiy’s abs! Ignore those wicked whispers about her sexual orientation. I cannot categorically assure you that she never flirted with another young woman when she was at Princeton. But I can categorically assure you that if she did, it would only have been to impress the cute guy in her Philosophy 101 seminar. Elena dated some of Eliot Spitzer’s friends at Princeton because her real ambition was to be “The Good Wife.” But now she’s ready to settle for being The Supreme Justice. Elena is anything but a history-making, barrier-breaking, proud, strong, happy gay woman. She’s a garden-variety, sad, scary, single, childless career woman who can’t get a man because she’s too smart, works too much and refuses to settle. One last thing I’d like to straighten out: Elena didn’t invite conservatives like Antonin Scalia to come visit at Harvard because she’s a conciliator. She just thinks Republican men are more dishy. When she made a courtesy call on Scott Brown the other day, she told him he was a hottie with a smokin’ little body. As our solicitor general, she’s had some notable tangles with Chief Justice John Roberts over briefs. But it’s just sexual tension. Trust me — the only secret Elena has is Victoria’s. Subject to the Open Meeting Law? A pdf of an article on this topic is available for download. I leave this message so that stray links out there will be satisfied and people who are aware of this situation will know that the problem has been taken care of. Merrill Goozner writes a great blog about health care issues. Highly recommended. He is also on twitter, e.g. -Snowbeck, Christopher, U surgeon's fees face new scrutiny from payer, 31 Jul 2009. -Interview with Dr. Polly on Minnesota Public Radio, 31 Jul 2009. -Star Tribune Editorial, "U Should Lead On Conflicts of Interest" Minneapolis-St. Paul Star Tribune, 15 Aug 2009. -Armstrong, David and Burton, Thomas M., "Spine Surgeon Didn't Disclose Medtronic Pay in Testimony," Wall Street Journal, 29 Jul 2009. -Guess, Andy, "Researchers' Financial Disclosures in the Spotlight" Inside Higher Ed, 12 June 2008. -Andrews, Wyatt, "Doctors Under the Influence?" CBS Evening News with Katie Couric, 26 June 2008. Nov 2008. -Guess, Andy, "Accepting More Federal Oversight" Inside Higher Ed, 9 July 2008. -Carey, Benedict and Harris, Gardiner, "Psychiatric Group Faces Scrutiny Over Drug Industry Ties" The New York Times, 12 July 2008. -Firestone, Chaz and Kelsh, Chaz "Senator targets professor's ties to big pharma" Brown Daily Herald, 23 Sept 2008. -Grant, Bob "Should Conflicts Mean No NIH Grant?" The Scientist.com, 29 Sept 2008. -Han, Tiffany and Rizzo, Salvador, "A National Policy Issue, But Close to Home" Emory Wheel, 6 Nov 2008. -Kaiser, Jocelyn, "Cardiologists Come Under the Glare of Senate Inquiry" Science, 24 Oct. 2008. -Meier, Barry, "Ties Between Doctors and Stent Makers Queried" The New York Times, 16 Oct 2008. -Silverman, Ed, "Boston Legal: TV Drama Or Reality Show?" Pharmalot, 29 Oct 2008. -Ferro, Shane "USenate, U.S. Senators Revisit Conflict of Interest Policy" Columbia Spectator, 31 Oct 2008. -Silverman, Ed, "Amid Senate Probe, NIH Changes Research Head" Pharmalot, 13 Nov 2008. -Finkelstein, Joel B., "For Physician-Scientists, Conflict-of-Interest Issues are Complex" Science, 14 Nov 2008. -Wu, June Q., "Students Push Comprehensive Hospital COI Policies" The Harvard Crimson, 21 Nov 2008. -Waddington, Lynda, "Chalk Up Another One For Sen. Grassley" The Iowa Independent, 12 Feb 2009. -Harris, Gardiner,"Research Center Tied to Drug Company" The New York Times, 24 Nov 2008. -Abelson, Reed, "Cleveland Clinic Discloses Doctors' Industry Ties" The New York Times, 2 Dec 2008. -Steenhuysen, Julie, "Doctors: Under the drug industry's influence?" Reuters, Feb 4, 2009. -Jordan, Erin, "U of I to bar free drug samples, gifts" Des Moines Register, 23 Jan 2009. -Burton, Thomas M. "Spine Doctors are Adopting Strict Rules on Payments" Wall Street Journal, 24 Jan 2009. -Ember, Sydney, "Research Policy Being Reviewed" The Brown Daily Herald, 2 Feb 2009. -Steenhuysen, Julie, "Psychiatrists may cut some ties to drug firms" Reuters, 8 Feb 2009. -Hill, Miriam, "Charles Grassley and the FDA" Philadelphia Inquirer, 8 Feb 2009. -Giles, Jim, "Exposing the links between doctors and Big Pharma" NewScientist, 25 Feb 2009. -Kaiser, Jocelyn, "Private Money, Public Disclosure" Science Magazine, 23 Jun 2009. -Armstrong, David, "Surgeon Faces Probe of Research" The Wall Street Journal, 22 Jul 2009. -Borger, Kate, "Senator Grassley Investigates Emory Researcher," Emory Wheel, 27 Aug 2009. -"Hidden Drug Payments at Harvard" The New York Times, 10 June 2008. -Relman, Arnold S., "Improper Rewards of Research" The Boston Globe, 12 July 2008. -"Credibility Crisis in Pediatric Psychiatry" Nature Neuroscience, Sep 2008. -"Accountable Academics" The Brown Daily Herald, 24 Nov 2008. -"Drugs and Disclosure" The New York Times, 10 Oct 2008. -Warner, Judith "Diagnosis: Greed" The New York Times: Domestic Disturbances, 9 Oct 2008. -"More Than One Bad Apple" Nature, 15 Oct 2008. -"Time to Disinfect Research Dollars" Atlanta Journal Constitution, 12 Oct 2008. -"Guarding Emory's Ethics" Emory Wheel, 6 Nov 2008. -Restuccia, Robert, "Let Public See Doctors' Ties to Drug Companies" Atlanta Journal Constitution, 3 Nov 2008. -"Defusing a time bomb" Nature Biotechnology, Oct 2008. -"Expert or Shill?" The New York Times, 30 Nov 2008. -Angell, Marcia, "Drug Companies & Doctors: A Story of Corruption" The New York Review of Books, 15 Jan 2009. -"Drug firms' manufactured buzz," Boston Globe Editorial, 25 Aug 2009. MERRILL GOOZNER spent more than 25 years in the news business as a foreign correspondent, economics writer and investigative reporter for the Chicago Tribune and other publications. He reported from over a dozen countries while posted in Chicago, Tokyo, New York and Washington. His jobs included Chief Asia Correspondent (1991-95), New York Financial Correspondent (1996-1998) and Chief Economics Correspondent (1998-2000). Like Benjamin Franklin, he spent his early years in the business in the printing trade. His freelance writing in recent years has appeared in numerous national publications including the New York Times, Washington Post, The Scientist, Columbia Journalism Review, The Nation, The American Prospect and the Washington Monthly. He’s won six Peter Lisagor awards; a Michigan Journalism Fellowship (1995-96); and a Kaiser Media Fellowship (2001-02), and in 2008 was named a Distinguished Alumni of the University of Cincinnati College of Arts and Sciences. 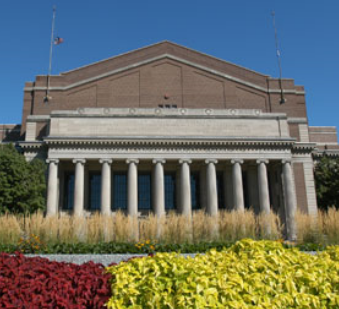 Over the weekend, the College of Liberal Arts, the University of Minnesota’s largest college, held its graduation ceremony at Northrop Memorial Auditorium. Before the procession, three friends worked against the wind to make sure their tassels were on right —meaning, on the right side of the mortarboard. This is the season of graduations at the University of Minnesota. When I step out of our building, I see families with joy on their faces walking toward Northrop Auditorium. I see mothers and fathers, younger and older siblings, and even grandparents all walking toward Northrop. They are attending the graduation of their brother or sister, or son or daughter, or grandson or granddaughter. This is a day that mothers and fathers dreamt about when their child was born; they planned for this day all those years when their child was growing up and going to school, and they probably had to put aside money to pay for it all. But today -- today is graduation, the culmination of it all. Today their child becomes a person to be reckoned with, a professional, someone who will change the world. For me, a professor, this is the happiest time of the academic year, for I had a small part in these graduates' educations. I, too, am proud of them and wish them well. If you would like some history and an objective look at the U's plans for Northrop... Ms. Jennifer Dens, a U of M undergrad, has written an outstanding paper as part of her UROP (University Research Opportunity Program) project that is an excellent resource. Preservationists should be informed about the coming $80 million Northrop desecration. There is an amazing document for consideration at this week's University of Minnesota Board of Regents Meeting. Unfortunately, it is embedded in a huge pdf file on the BoRe web site. When I first read it, I thought it was a satire because of some of the over-the-top claims made by Morrill Hall wordsmiths. It sounded like something that OurProvost might have written. Executive summary: The Morrill Hall Gang wants to re-engineer (NOT renovate) Northrop in a way that will cost $80 million that we should not be spending for this purpose given our current fiancial situation. Please note that I fully support getting Northrop up to code, but what is being talked about here is far from that. They are attending the graduation of their brother or sister, or son or daughter, or grandson or granddaughter. This is a day that mothers and fathers dreamt about when their child was born; they planned for this day all those years when their child was growing up and going to school, and they probably had to put aside money to pay for it all. But today -- today is graduation, the culmination of it all. Today their child becomes a person to be reckoned with, a professional, someone who will change the world. For me, a professor, this is the happiest time of the academic year, for I had a small part in these graduates' educations. I, too, am proud of them and wish them well. Who were these people? Provost Sullivan, Pfutz, VP O'Brien, the Cultural Czar? "Yet, their memory of Northrop is more of a feeling and not architecturally specific." Wow! 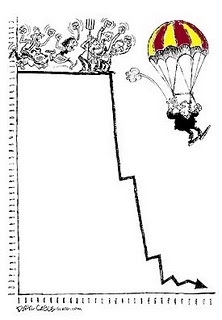 Recognize current extraordinary financial realities by ignoring them? Since we can maintain current debt ratings that justifies borrowing? New revenues? Is this like the gravel and MoreU Park? Private resources should NOT be siphoned off to pay for this as there is much greater need elsewhere right now. Finally HEAPR funds would be appropriate to use because the building does not meet code due to a deliberate strategy of neglect by this administation. Northrop will be a bustling, dynamic, state-of-the-art, gathering place central to everyday life on campus, a destination where students, faculty, and members of the community will take advantage of technology-enriched meeting rooms for seminars, discussions, and collaboration. Symposia, concerts, recitals, screenings, debates and public forums will be everyday occurrences. Students, faculty and members of the community will gather for informal conversation at the café and in public study, lounge, and collaborative spaces. Northrop will be teeming with activity—all the time. To the Morrill Hall Gang: Walk out the front of your building... Whoops, it's locked... Well go out the side and walk up to the plaza in front of Northrop. Read the inscription on the building. Then turn around 180 degrees. What do you see over there across the mall? Everything that you have been saying above can currently be done in Coffman. Fix Northrop by making it come up to code. Forget about the re-engineeing right now. It is not necessary in the current financial climate. It serves only to re-inforce your very big egos. ...programming will be expanded to create exhilarating, cultural experiences that will inspire students and the people of Minnesota, and will do so in collaboration with our community arts partners. We will work in partnership, not competition, with the community. Malarkey! There is no need for such a facility. We already have excellent performance spaces on campus including the Ted Mann. As pointed out earlier we couldn't even fill the auditorium in Coffman for a presentation by the President on the future of the University. The University WILL be in competition with local arts organizations with this move whether the Morrill Hall Gang wants to admit it or not. Northrop will be the place where the world’s leading public figures and change-makers challenge us to consider and engage in the most pressing issues facing the world – a community forum for deliberation and debate over the most innovative ideas and challenging issues of our time. Northrop will be the convening place where the greatest minds in the world routinely share innovative ideas and creative work. Through new technologies, Northrop will provide the University with a global platform to engage leaders from around the world and connect the University with global audiences. The New Northrop will foster world-class thinking at a world-class University. Cough, cough... Where in the world is Carmen Sandiego? In summary, this bold vision will place Northrop at the crossroads of learning, discovery, arts, and community. It is a vision that will completely transform life at the University. It is a vision that will re-define the way the University connects with and serves the people of Minnesota. The above described project scope of work, cost, funding, and schedule is appropriate. This list of names sure gives you a lot of confidence, doesn't it? This re-engineering of Northrop is simply wrong. Another senator stated that this pay cut is a band-aid and it will not save the University. Perhaps it is better to chip in than refusing to help. It is possible that the symbolism is valuable by itself, which is why he will support the proposal. However, he is angry and disappointed and understands why some faculty will vote against the motion. He is mad at the governor and legislature for their short-sightedness, but mostly he is mad the University's leadership, which has too rarely made the hard decisions to prepare for their tough times. This leadership has also failed to offer a compelling vision and plan to reduce the scope of the University and maintain excellence. This leadership has also bungled this proposal by confusing the issues, making it hard to get meaningful and consistent information, and losing the trust of many faculty. The real is issue is getting through FY12 and beyond. No faculty member has opposed a temporary pay cut if it would solve the problem, but all he has heard about the future is a request to trust the administration while they present changing, half-completed plans for the future. He wished the last few years had convinced him that the University had a vision and a strategy, but they did not. Parceling out across-the-board cuts while proclaiming vague goals of excellence is no vision, strategy, or leadership. He will vote for the motion because he values staff too much to put more of their jobs on the line. He hopes that the year that this vote buys the University is really used to do it right and not just have everyone in the same place in another year. Decisions in the next few months will determine whether the University sinks towards mediocrity or becomes a smaller but still shining gem for the state. This is the time for leaders to step up and lead the University in setting critical priorities and making hard decisions. Step up President Bruininks or step aside. For the past two years, I have said publicly that next year (the 2010-11 academic year) will be my last as president of the University of Minnesota. I have informed the Board of Regents that I intend to step down as president at the end of my current contract, which expires June 30, 2011. I have truly treasured this opportunity to serve for the past 13 years as provost and president, but I look forward to returning to the best job I have ever had at this great University--that of professor--and Susan and I look forward to pursuing our personal interests and spending time with family, including our grandchildren. I made this announcement early to provide more time for planning this leadership transition. This is a time of substantial change and numerous challenges on our campuses statewide, and I believe that setting a clear direction for my own future will help the institution plan for its needs and priorities in the coming months. On Thursday, May 13, the Board of Regents will convene a work session to discuss its plans for conducting the search for the next president of the University of Minnesota. It is the Board's responsibility to oversee and administer the search, which will be managed by the Board office. I am certain that many of you will be engaged in the process. This is a critically important opportunity to shape the University's future, and I encourage all of you to offer your best advice to the Regents as the search commences. In the meantime, we have much to do, and I plan to work diligently with you to strengthen the academic mission and resources of the University, to finalize and approve a new budget, and to refine and begin to implement a long-term financial plan. During the next 14 months, my focus will continue to be on strengthening the University's academic excellence and financial vitality as outlined in this year's State of the University Address. We must set priorities, both locally and at the all-University level; reduce overhead and operating costs; improve service and productivity; redesign academic and support programs and services; and eliminate activities that are not producing significant return on investment in terms of the University's core academic mission of education, research, and outreach. The changes we have yet to make are neither easy nor obvious and will require all of us to be fully engaged in making decisions that advance the University of Minnesota as a whole--as an academic community and a statewide system. We also have other significant changes to manage--including the transitions of Senior Vice President Frank Cerra and University of Minnesota Duluth Chancellor Kathryn Martin, as well as the departure of Vice President Rusty Barcelo to become a college president. With regard to these changes, I will work to maintain strong leadership for our public mission while ensuring that my successor has an appropriate level of engagement and flexibility in shaping the University's senior management team. I take pride in what we have accomplished together. I want to thank you all--faculty, staff, students, alumni, friends and Regents--for your hard work, especially in these challenging times, and for your continued support of the University of Minnesota. All of you continue to make the University of Minnesota one of the best public research and land-grant university systems in the world. I sincerely hope you enjoy your retirement, President Bruininks. It is several years overdue. Skirting the Open Meeting Law, Again? [For Part I., please see my earlier post (link)]. This is a formal response to your email reply to my earlier letter on the question of whether the Minnesota Open Meeting Law is applicable to meetings of the Faculty Consultative Committee. 1. The Open Meeting Law (Chapter 13D of the Minnesota Statutes) does not apply to advisory committees. It is true that the scope of paragraph (b) of Minn. Stat. 13D.01 subd. 1 is limited to meetings of the governing body of a public body. However, paragraph (c) requires that meetings of ANY COMMITTEE of a public body must be open to the public. Unlike paragraph (b), paragraph (c) does NOT limit its scope to a "governing" committee. 2. The bylaws of the University Senate authorize closed meetings of committees of the Senate. In the Star Tribune case the Minnesota Supreme Court rejected the argument of the Regents that the Open Meeting Law does not apply to the University. Neither the Regents nor the University Senate can override the statute. So the only closed meetings that may lawfully be held are those that are authorized by the statute. None of the topics discussed at the April 15 meeting of the FCC is of a nature that may be discussed in secret. 3. It is necessary to hold closed meetings in order to have an effective and candid exchange of information between the administration and the FCC. So the administration will sometimes provide accurate and truthful information only in closed meetings? What kind of administration is that? What of the duty of the FCC "to report on matters that should be brought to the attention of the University at large?" See Article II, section 5, part I of the Senate bylaws. The FCC is supposed to be the representative of the faculty--not a co-conspirator with the administration in conducting the business of the University in secret! "The purpose of [the state constitutional provision] empowering the Regents with the management of the University was to put academic and university management issues in the hands of the Regents. The Data Practices Act and the Open Meeting Law do not tread on those types of issues. These statutes address broader concerns of the relationship and information-flow between public institutions and the people whom they serve. "The Data Practices Act and the Open Meeting Law are intended to promote the general welfare by making government information accessible to the people. Both statutes are applicable not just to the University, but to all state agencies, as well as local government entities." The University of Minnesota Board of Regents will commence the presidential search process next week at its May meeting. Current University President Bob Bruininks’ term will expire at the end of the 2010-11 academic year. Regents Chairman Clyde Allen said the board will seek to name Bruininks’ successor by next spring. Bruininks said the incoming president will assist him in selecting individuals to fill what will be vacant top administrative positions, such as Frank Cerra’s senior vice president for health sciences and medical school dean position, which will be left empty after Cerra retires in December. The board will announce its schedule and plans for the search in a May 13 meeting. In June, the regents are scheduled to choose the Presidential Search Advisory Committee, lead by Regent Patricia Simmons. The Faculty Consultative Committee recommended four faculty members to sit on the search committee in March. Professor Marti Gonzales, chairwoman on the FCC and one of the selected faculty members, said they will play an important role on the committee. “Administrators come and go, students come and go, the one constant … are faculty, many of whom spend their whole lives here,” Gonzales said. To assist in compiling a pool of candidates, the University has hired Bill Funk of R. William Funk & Associates, a higher education consulting firm. Funk aided in the 2002 presidential search that resulted in Bruininks’ appointment. As a consultant, Funk specializes in knowing the individuals who “might fit the job description, know who’s available [and] might be worth interviewing,” Allen said. Funk, whose firm is located in Texas, said he will make a trip to Minnesota soon to meet with constituent groups. Allen said the University will not restrict its prospects to individuals presently within the University, even though the current administration is in the middle of finding long-term solutions to a complicated state funding problem. “Any candidate we would have would most likely come from a similar situation,” Allen said, acknowledging the University’s plight aligns with the state of higher education all over the country. A new president who is familiar with the institution already would be beneficial, Gonzales said. However, a “fresh perspective” from an outsider could bring ideas no one has presented yet. “I just want a person with integrity. I want a person who understands that academia is a different kind of institution than corporate America, who is a scholar of national and international prominence and who has demonstrated excellent skills heading up administratively,” she said. Of the past five presidents, three first filled other roles at the University prior to their appointment to president. Bruininks was a faculty member, a dean and the senior vice president for academic affairs and provost. 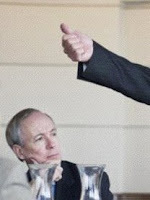 However, Bruininks’ predecessor Mark Yudof, now president of the University of California system, had no Minnesota ties before he took the lead in 1997. The Philadelphia native held an executive vice president and provost position at the University of Texas. The board is scheduled to outline the search criteria in June, but Allen said the search committee will look for a visionary who works well with other strong leaders. “It’s going to be a very careful task,” he said. Maybe They Will Go Away? I am not a fan of SDS - Students for a Democratic Society. Too much baggage, they should reorganize. Nevertheless, it is a free country and I am in sympathy with many of their aims. The administration apparently reneged on their promise to send a representative to a recent meeting in Coffman about a perception of the State of the University that is quite different that the one the President presents. On Wednesday, the Save Our School and Chop from the Top coalitions held a community forum called “The People’s State of the University” in Coffman Union. 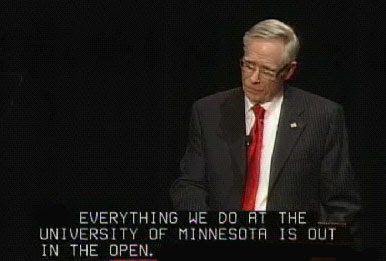 Initiated by Students for a Democratic Society, the event served to counter University of Minnesota President Bob Bruininks’ State of the University address (published online) with alternate viewpoints from the University community. Bruininks claims in his address to “have the best interests of the University and our students at heart,” but the administration continues to balance the budget on the backs of students and frontline staff. The forum served as a venue to speak out against the hypocrisy of our administration and as an opportunity for students, staff and faculty to continue the discussions ignited by the national education rights protest March 4. The forum’s panel speakers included Phyllis Walker, president of AFSCME 3800 clerical workers’ union; professors Eva von Dassow and William Messing from Faculty for the Renewal of Public Education; Eli Meyerhoff and Elizabeth Johnson from Graduate Student Workers United; Student Solidarity Alliance member Jesse Simmons; and SDS member Mia Overly. The audience included students, staff and faculty. Notably absent was the representative from the administration Bruininks had promised to send. ST. PAUL, Minn. - The Minnesota House has rejected a move to ease booze restrictions at the University of Minnesota's campus football stadium. The vote was 111-18 on an amendment to a higher education bill on Monday. Democratic Rep. Phyllis Kahn's proposal would have reversed a law requiring alcohol to be sold throughout TCF Bank Stadium or not at all. Her amendment would have let the university control where alcohol is available, potentially offering drinks in premium seats and suites. The Gospel According to Robert, Part IV.